In your price range and ready for you, 4 Matarawa Street is a great opportunity for you wave goodbye to your landlord. 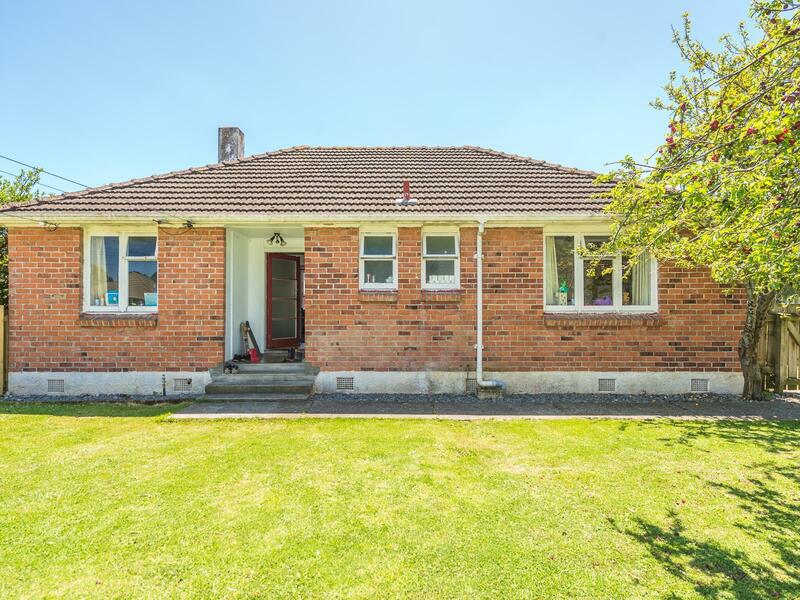 This solid brick three bedroom home is set in a quiet East-side neighbourhood, close to good schooling and a short walk to the shopping centre. Secure off-street concrete parking pad, and a spacious lawn area at the front ideal for children to play, or to develop further. Cross-lease (freehold) title - no shared areas. Investors - good tenant in place paying $290 per week. Don't miss this one - call us now and make it yours! Fixed floor coverings, Blinds, Light fittings, Drapes, Electric Stove, Extractor Fan (may not work), Heat Pump and 1 Remote, Net Curtains, Heat Lamp Extractor (bathroom, broken). All chattels in 'as is' condition.